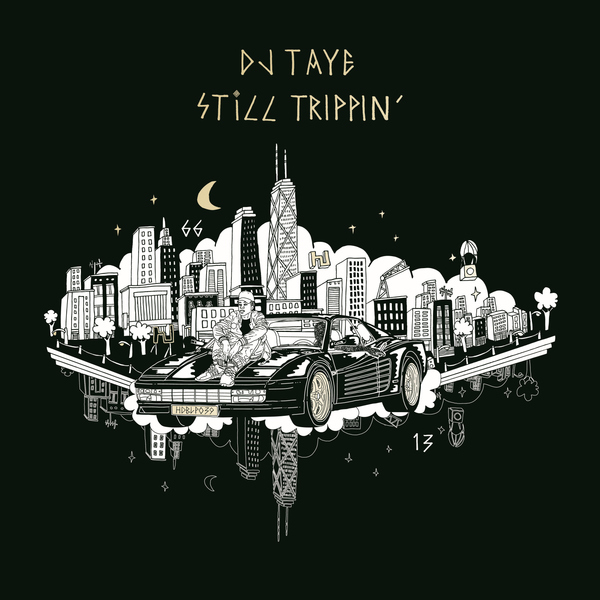 As footwork approaches 10 years as a style, proper, Teklifer DJ Taye presents a lush, new, hi-tech jazz spin on the fwd Chicago sound with Still Trippin’, his stellar debut LP for Hyperdub. Something of a unique triple threat in the footwork circle, Taye produces and raps, as well as dances to, his own music. 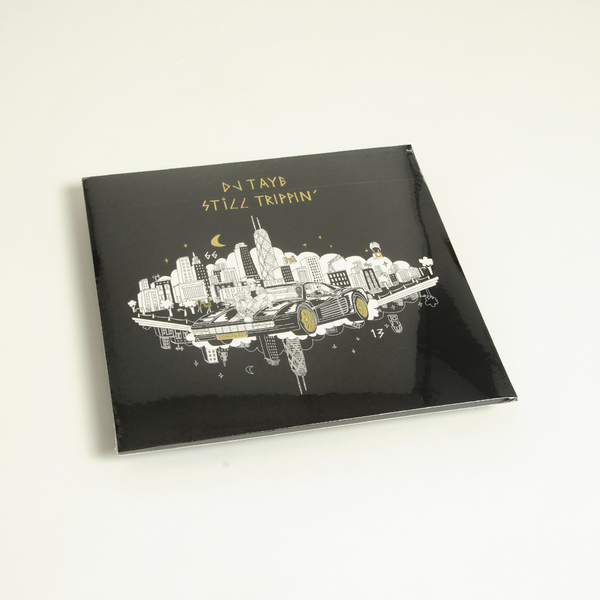 On Still Trippin’ he explores these binds in mutant, highly refreshing ways in the hope of carrying DJ Rashad’s legacy forward for a new generation. Fair to say, he sees the late, great pioneer proud here. Teaming with peers DJ Manny, DJ Paypal, and DJ Lucky, plus Jersey club queen UNIIQU3, vocalist Odile Myrtil, and Fabi Reyna - editor of women’s guitar magazine “She Shreds” - Taye gives a thrilling cross-section of the new gen, simultaneously diversifying footwork’s bonds while remaining true to its manic, hyper soul and ability to mess with the meter of modern dance music. Marking up close to recent, forward-looking scene classics by Jana Rush and Jlin, Still Trippin’ lets Taye’s soul flow in myriad ways, constantly in flux between plus, jazz chord driven smarts such as 2094, the red-eyed rap/footwork hybrid Smokeout and the delicious bossa nova bump of I Don’t Know with Fabi Reyna, to more hi-tek variants in the the lightspeed jazz chops of Closer and the auto-tuned tweaker Anotha4 feat. DJ Manny. 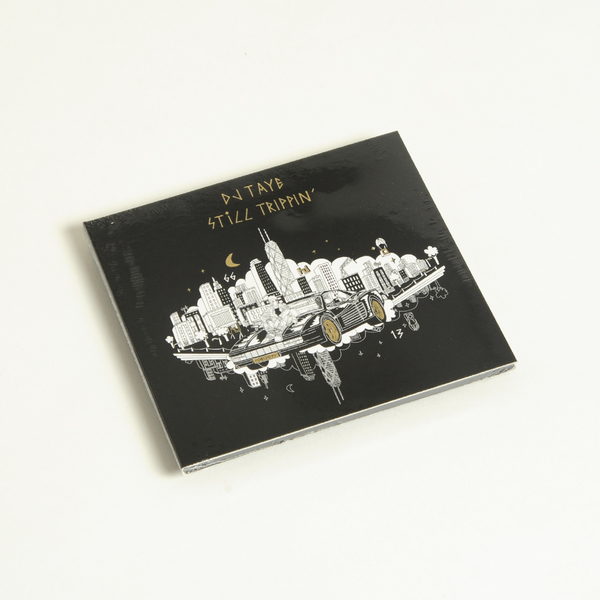 But if you’re after straight up dancefloor bullets, they comes lean and fast on the likes of Trippin’ - with Taye admitting “i’m on those research chemicals/seeing new colours” over frenetic bleeps and slow/fast trap bounce, while Need It leans in hard on an acid-jungle-juke tip, and Bonfire sounds like Dhalsim playing for Mahavishnu Orchestra, on 45rpm, and his hook-up with DJ Paypal results the searing madness of Truu.